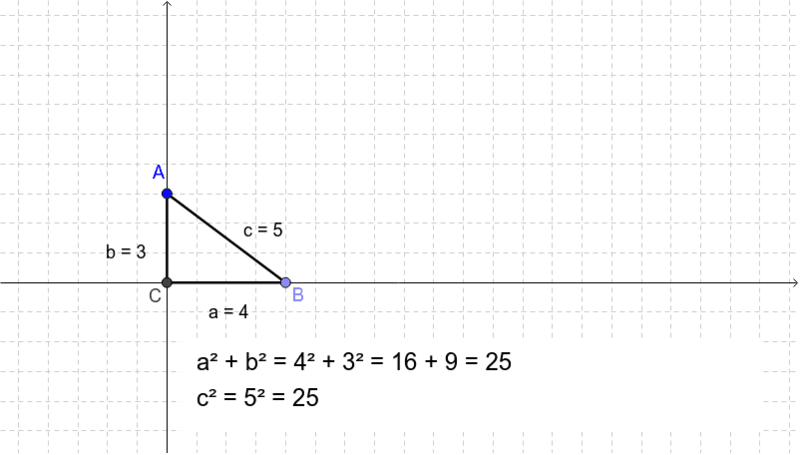 Move points A and B to change the triangle into an acute, right, or obtuse triangle. Watch what happens to the relationship of a² + b² versus c². Can you determine the relationship between the Pythagorean Theorem and the type of triangle?